10-year warranty against the reduction of its characteristics relative to light and solar transmission, turning yellow and breakage caused by hail. Policarb®IR, Policomp®IR sheets and arcoPlus®IR panels let light in but not heat. 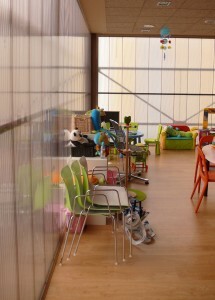 They make up Gallina’s new product range for transparent coverings and windows with solar control. 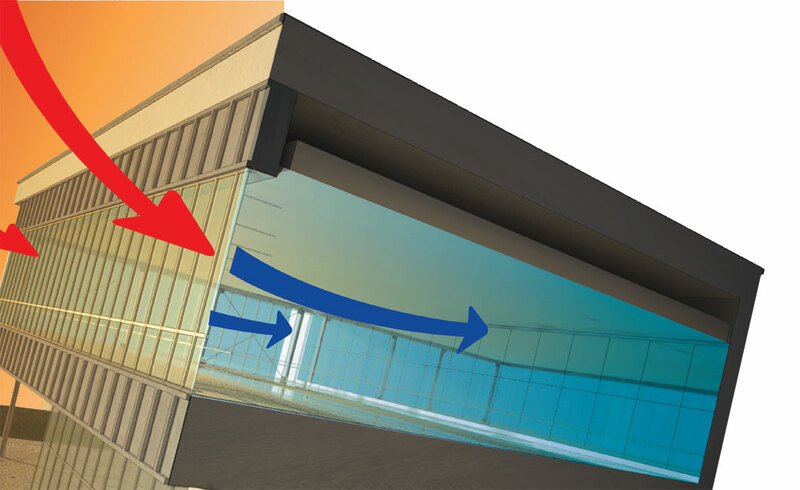 All products of the IR line offer innovative solutions for typical building applications where high levels of light are wanted while reducing the internal heating. The potential result: reduced energy spending for cooling and for lighting. The new Policarb IR sheets are available in all thicknesses and dimensions. Multiwall PoliCarb® sheets and our modular arcoPlus® IR panels offer tremendous design flexibility, in applications such as skylights, clerestories, greenhouses, canopies, thanks to the wide range of available products. All products in polycarbonate by Gallina are UV protected and block out the harmful ultraviolet radiation. 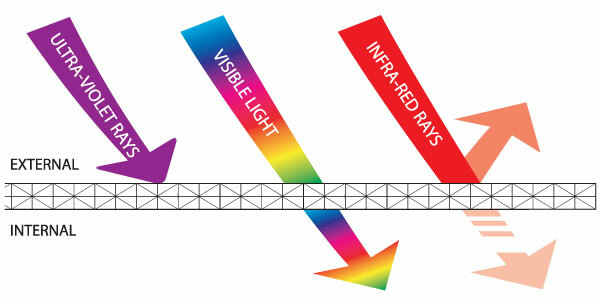 The Policarb® IR sheets and modular arcoPlus® IR panels transmit a higher quantity of light. The Policarb® IR sheets and modular arcoPlus® IR panels transmit to the inside less infra-red energy. The heat coming from solar heating is for the most part absorbed by the external surface, treated with IR absorbers, that limits radiation to the inside of the building and the consequential heating up. There are similar products on the market, but this new technology from Gallina permits the production of products with the filter of protection against infrared only on the external surface, to avoid the complex heating of the elements and resulting transmission of heat to the inside. The control of the temperature and the management of heat are essential elements in maintaining a desired level of comfort within buildings. They are also critical elements for controlling cost and maximizing energy savings. The products of the IR line absorb the part of the light relative to the infra-red rays (from 780 to 1400nm), blocking effectively the solar heat, while letting the solar light through. The result is a reduction of the internal transmission of heat and a reduction of the cost for cooling the area. In fact all the products from the IR line can contribute to reduce the temperature increase up to 25% while increasing the light transmission by up to 60% with respect to other window products. Based on the tests run, it can be evaluated that for the products with a protective infra-red ray filter the internal heating can be reduced around 10/12°C. This represents a great advantage for building applications. All products from the line IR come with a written 10-year warranty against the reduction of its characteristics relative to light and solar transmission, turning yellow and breakage caused by hail.